Tasha Magness and William Haggerty, founders of Biola Queer Underground, come forward to share their story. A seven-page PDF hit the Internet on Wednesday, displaying smiling faces against rainbow backdrops. 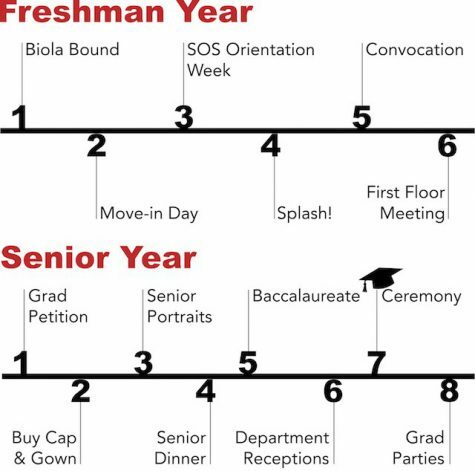 In it, 15 students declared their involvement with the Biola Queer Underground — the organization that went public last May in support of gay students on campus, provoking varied reactions from across campus and beyond. More than just photos of allies and gay students, the “yearbook” contained letters from the founders and next year’s leaders. One face appeared three times: a woman with medium length brown hair, bright green eyes and visible sass. This woman is Tasha Magness. 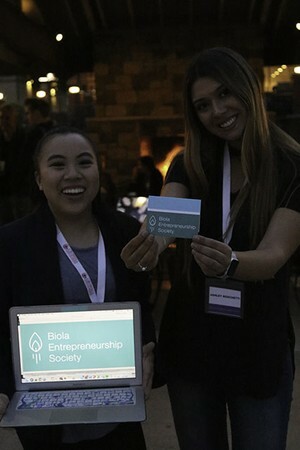 A former Biola student, she started the Underground last spring during her last semester here, alongside current senior William Haggerty, a business major. “We have to start a group for these people who have already arrived at this one side,” Magness said of the thought process behind the decision to form the BQU. The pair were introduced by a mutual friend and began talking about their experiences. Together with a few others, they began formally meeting in February to begin shaping a community. It wasn’t announced to the public until that May. Magness jokes that the Underground went public at the time they did in order to line up with President Barack Obama, whose announcement in support of gay marriage happened the same day. In reality, though, the group had discussed launching a website to get their name out already. Small moments helped confirm Magness’ belief that she was following God’s calling. “For me, that’s been a driving force — this sense of God giving me this conviction,” she said. The incident that pushed Magness over the edge happened during her all-time favorite Biola class. A professor made a comment about how some students present might even be gay. “She looked right at me and said ‘I’m sure some of you might even be in a secret lesbian relationship,’ and she stared at me while she said that. And of course, I started shaking … and I started getting really nervous, and I almost started crying,” Magness said. Magness mentioned that others in the group had similar difficult experiences around the same time. “That was sort of God being like, ‘I told you. Do it now,’” Magness said of the effect of that incident on the decision to launch. When the group finally launched, Magness was a nervous wreck. Many opposing emails in response to their announcement added to the stress of finals week. “It was so stressful that I remember that I drove home really fast … I just collapsed on the couch sobbing for like five hours,” she said. At the time, Magness wasn’t out to her parents, who suggested she leave Biola simply because her stress levels were so palpable. Today, she is out to her parents and has transferred from Biola to Scripps College, starting her major in American studies this semester. When I met Magness last fall, she had already withdrawn from Biola. On a rainy morning, we both showed up late to Panera. She was late because she’d had a busy week campaigning against a proposition — her team won. Magness has the zest of a seasoned activist looking to create change, balanced out by her good-natured air of composure when dealing with tricky situations. “She’s really empathetic and caring, and she’s definitely always there for someone. It’s interesting because she never gives up on people,” said Maura Lopez, a current junior. Magness sees her work in the Underground as being about people. She thinks that her experience has prepared her to talk with these students. Unlike some students who may not begin considering their sexuality until the middle of college, Magness began thinking about the morality of being gay when she was in high school. “I turned to the Internet, and I turned to reading, reading, reading,” Magness said. She read about both sides of the debate over the sinfulness of homosexuality and eventually came to align with Side A — believing that the Lord can bless homosexual relationships. “I think [the researching is] what God wanted, because it made me really well prepared now. … It made me a good person to talk to other people,” she said. The first person she came out to was Lopez, one of Magness’ best friends since they were 12. Lopez, shocked, started crying when she heard the news in 2010. “Everything played back. Everything mean I had ever said or any gay joke I had ever made … That stuff just started playing in my head. I felt so guilty,” she said. Lopez, an intercultural studies major, knew about Magness launching the Underground but was never super involved because the founding pair wanted a safe place for LGBTQ students — which may simply look like getting together every week and talking or playing board games. “It almost feels like she’s trying to bring redemption in the relationship between the queer [community] and Biola,” Lopez said. 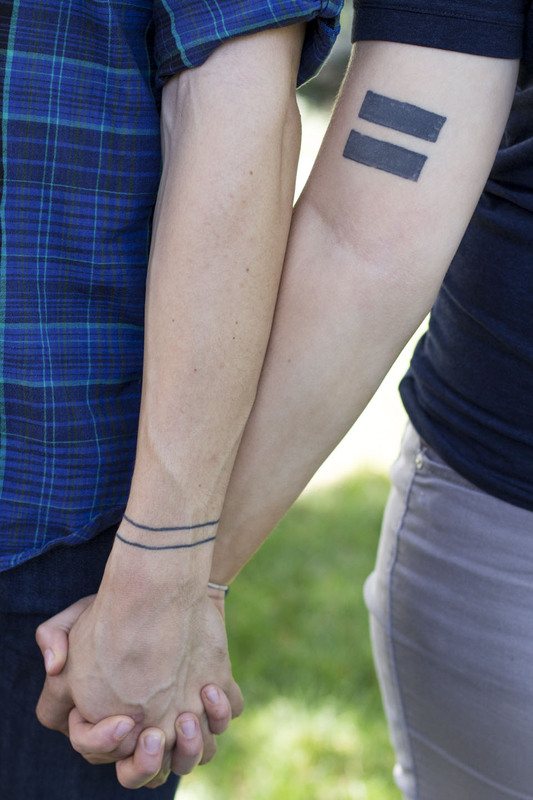 Since, the founders have gotten matching tattoos that express their love of equality, a decision they made one morning during church. Magness sports a bold, black equal sign on her bicep and Haggerty has two thin lines all the way around his wrist. Now that it’s a year later, the pair are glad they launched the group. They see it as an act of love toward the university. 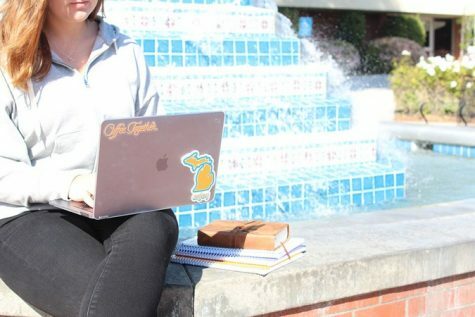 “I think it shows how much we truly do love the university, and the Church and Christianity, that we would risk so much and that we would put ourselves in such a position,” Haggerty said. In the next few months, Haggerty will transition out of leadership and another leader will be brought on board. After a year where BQU has continued to put on events and deal with controversial responses, they will take a new approach next year. In the upcoming year, BQU hopes to be more open about their plans, looking for new ways to cooperate with university administration. 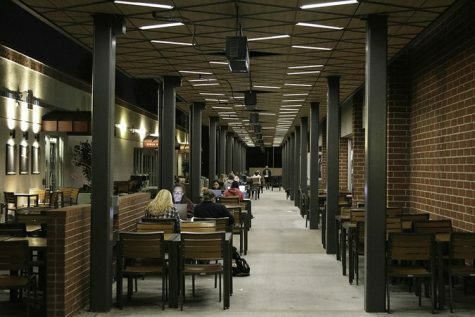 “If you just let an institution stand like it is, you don’t love the place … There are structural, I think, inequalities at Biola, but that doesn’t mean I don’t love it,” Magness said, noting that she misses prayer in class and the centrality of faith at Biola. Even though she’s no longer at Biola, Magness hopes to stay involved with the university. Though she’s transferred, she remains involved with the Underground because she’s committed to Biola, she said.